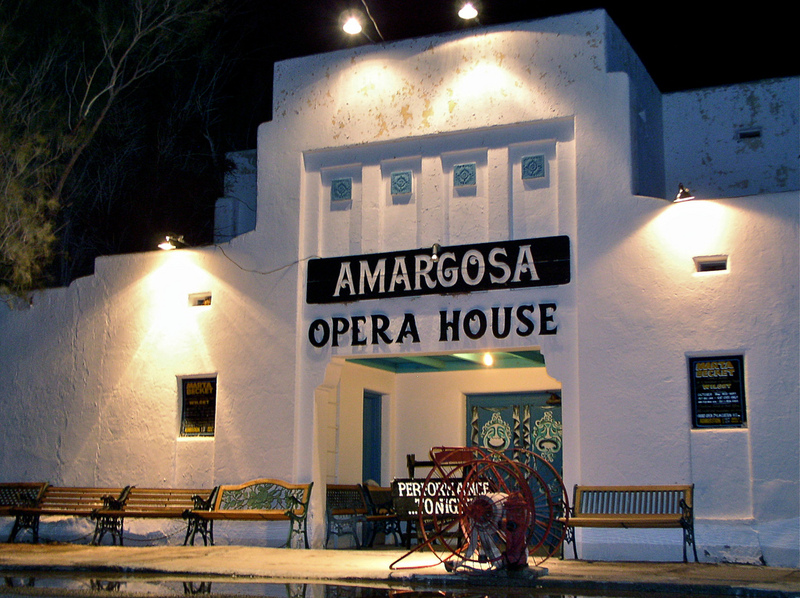 Legend has it that Marta Becket rolled in to Death Valley Junction in 1967 and has been performing at the Amargosa Opera House since, but tonight is her last performance. I visited in 2004 and took in the show then. It’s a certain kind of show and performer that can run 45 years non-stop (it was in its 37th year when I saw it).